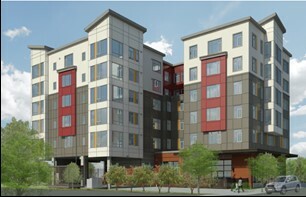 CLEVELAND, January 29, 2017 /3BL Media/ - KeyBank Community Development Lending & Investment (CDLI) has provided an $8.5 million construction loan and $10.5 million in 9% LIHTC equity for the development of Renton Commons, a 48-unit affordable housing project with 36 units of permanent supportive housing, located in Renton, WA. Thirty-six units will be reserved for homeless U.S. Military veterans and formerly homeless families with children. The remaining 11 units will target households at or below 50% area median income (AMI). The property also includes dedicated common space for use by residents and a counseling office to be used by the Sound Mental Health (SMH) to provide case management services on-site. Aubré Dickson and Beth Palmer of Key’s CDLI group arranged the financing.